The music is often sung in Portuguese or Portuguese creole and grounded with African rhythms. 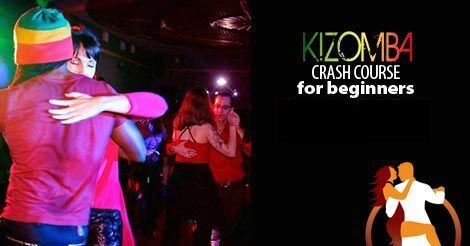 Kizomba rapidly spread throughout Europe in the late 90’s and is now proliferating in the US! The music is captivating and addictive and the dance is VERY addictive. Give it a try and we know you will be hooked! Want more? Jump in to one of our Kizomba, Semba or Afro-House Classes! The Mambo Room offers various Kizomba Dance Lessons class structures from Progressive Series classes that build one week to the next, Drop-In classes that may teach on a quick technique or Workshops for a more in-depth learning experience. Choose the classes that best fit your needs and let’s get you dancing!